This ‘eating out’ malarkey can be a bit of a ball-ache at some higher-end gaffs. 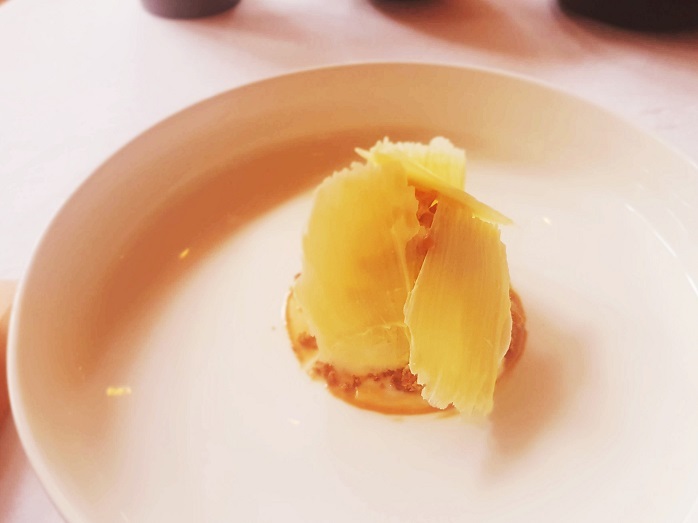 I’ve slogged through my fair share of decadent but dull tasting menus and if inertia hasn’t set in by the meat course, gout usually has. 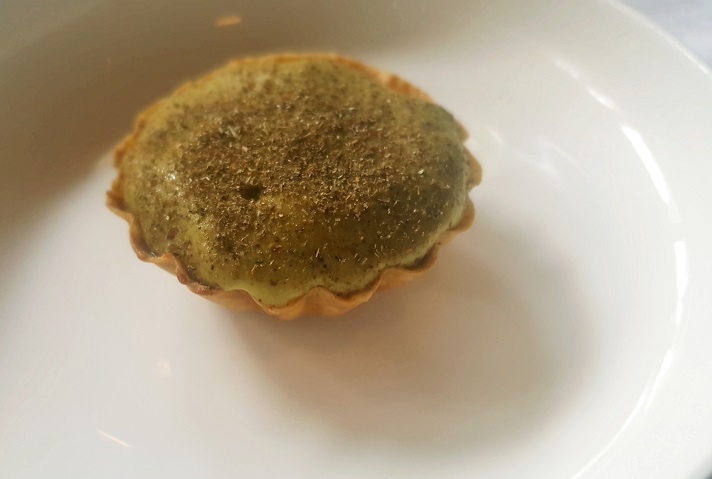 But as I down a three-bite leek tart at Home in Leeds I’m reminded that serious cooking doesn’t have to be seriously up its own arse. What a beaut: refined pastry work, redolent of what you’d get at the toppest of spots, with all the moreishness of a Greggs cheese and onion pasty. Result. It’s not just a tart, of course. 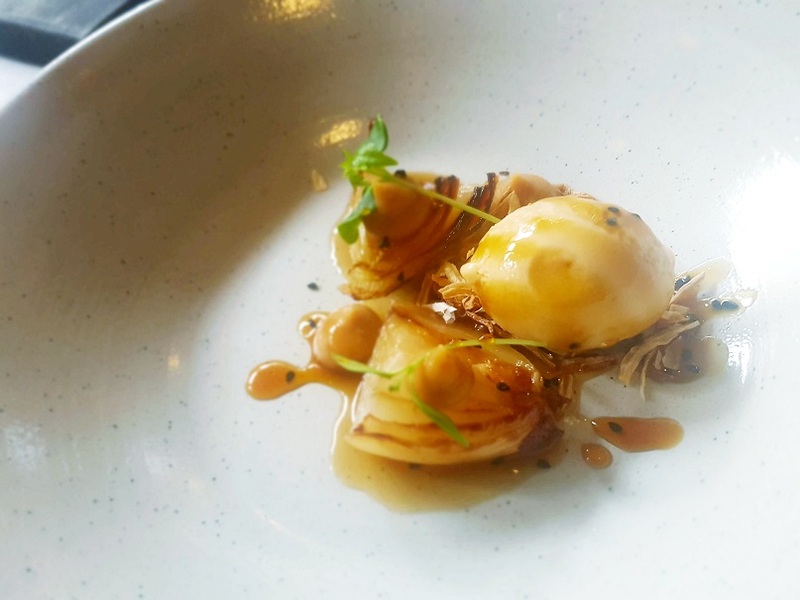 The gaffers behind Home – Mastercheffer Elizabeth Cottam and ex-Box Tree pan-man Mark Owens – might be doing their bit to take the fussiness out of fancy dining but within that crisp filo case we unearth nuggets of granny smith apple, a smoked cod mousse and breezy potato foam. So we’re hardly in Bernie Inn territory here, although a scoop of oven chips and a ladle of baked beans would’ve set that tart off nicely. It is, though, the kind of place in which we’d happily bed in and get sozzled. That’s partly down to the engaging-but-not-fawning front of house and the light, high-ceilinged room; but mostly it’s down to necking a proper decent Muscadet too fast (35 quid: get amongst it). We’re here for fifty quid lunchtime menu “The Selection”, a condensed version of 10-courser “The Season”. Dishes land at a spot-on leisurely pace ensuring no mid-meal lull and, dainty though they may be, flavours are bold. This is balanced stuff. 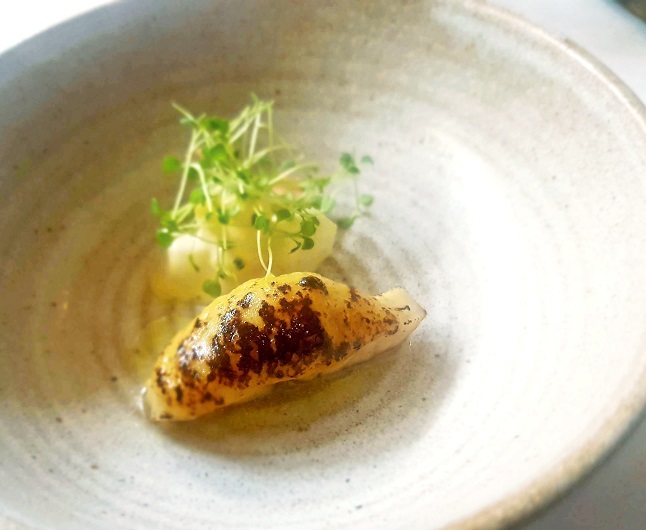 Take this dish of roasted Roscoff onion. 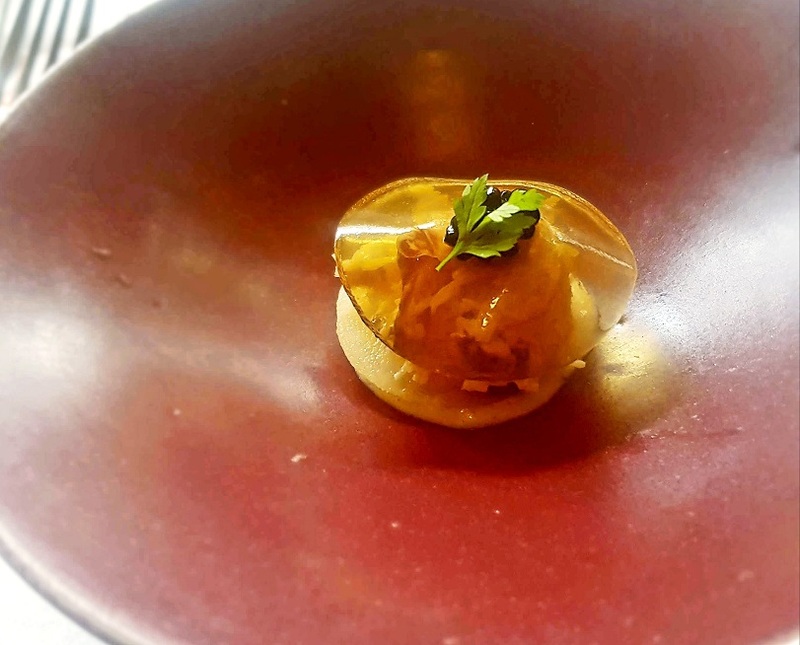 The unassuming allium’s been crumbed, gelled and ice-creamed and needs only to have been bunged in a water bath for a full house in Masterchef-Michelin bingo. It sounds a bit 1980s or, worse, the full-Heston, but it’s a belter. Crunchy bits are nicely singed like tarka on a dal, with a crumb that’s all pickled onion Monster Munch. There’s rich savouriness and caramelised sweetness with the velvety ice-cream, somehow, balancing it all out. Ace. The lightness of touch continues into dessert. White chocolate at any time can be too sickly-sweet and ‘orrid, especially with some coconut chucked in like it has been here, but this is the good stuff with the merest hint of sugar. Like the rest of lunch, it’s just enough. Having your wine poured for you then watching as it’s taken to be kept several agonising metres away is one nod to the old school I’m sticking under ‘bit annoying’, but beyond that nit-pickery eating at Home’s an easy-going way to get some top notch cooking down you. Flavours are familiar but spruced up to their sparkly best, and you won’t feel like bailing halfway through. See also: The Star at Harome. Unfussy boozer with a Michelin star.